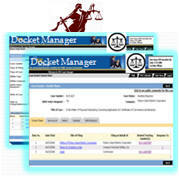 iTEK’s Docket ManagerTM is a highly configurable and easy to manage end-to-end case management tool for Judicial and Quasi-Judicial departments. The Courts, Office of Administrative Hearing, Public Utilities Commissions and similar departments manage cases which need to be scheduled, tracked and documented thoroughly. The solution efficiently manages case lifecycle activities from case initiation to closure. The web-based solution is designed on a service oriented architecture where all functional components performs their tasks independently, and are integrated through services. The product is integrated with the FileNet Document Management and Workflow engine.